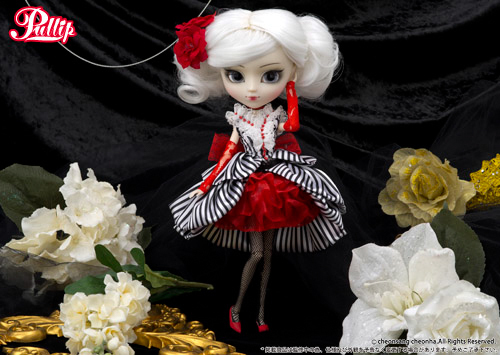 September 2014 Groove Inc is bringing fans a new girl, say hello to Pullip Scarlet! 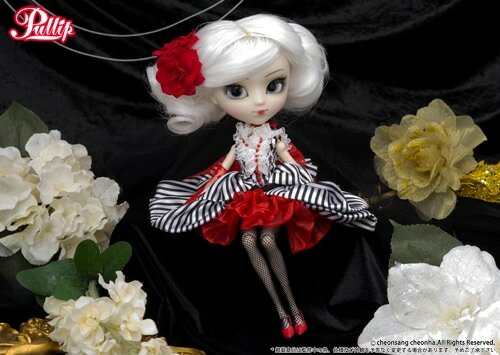 Scarlet has a quality about her that reminds me of the 2007 doll Pullip Uncanricky. Visit eBay to add this star to your collection! What do you think about this latest girl, do you like her style? Leave a comment in the comment section. To me she looks nice but nice in the “exclusive Target doll” department. 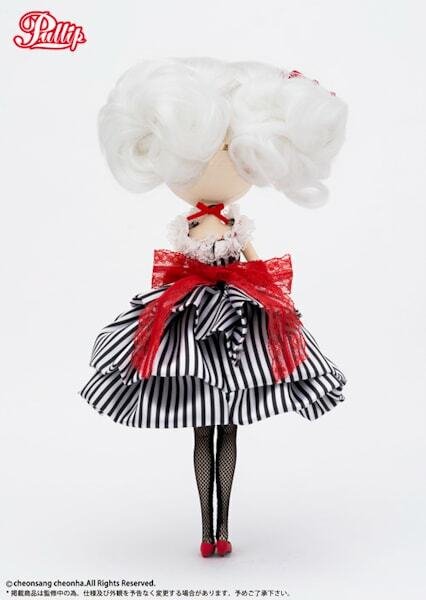 Her stock and her wig is not worth the price, but, like you, I enjoy the eyelid variety and her face up is not terrible. 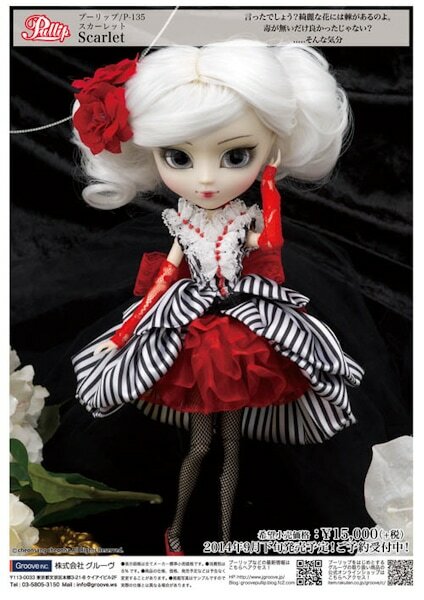 The wig color is nice but would better suit another doll. 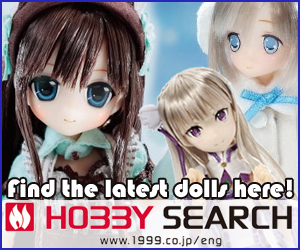 We already have Sepia Alice and Regeneration Pullip Suigintou with whiter hair. She would look better with black. 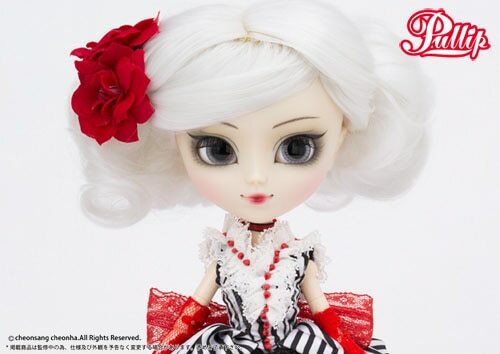 You’re so right, the quality of Scarlet doesn’t warrant her price tag. 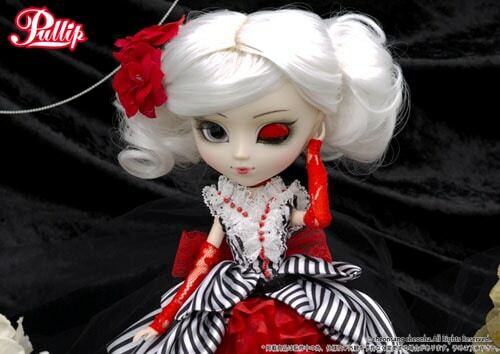 I think she would be a wonderful doll if she were priced at $80 like Pullip Ally was. But yeah, a black wig would’ve been stunning choice for Scarlet.